Here are the stories we’re following this week. Marketing: Bayer Schering Pharma is set to double its Indian sales team, and triple its workforce in Vietnam in anticipation of a larger market share in the region (Wall Street Journal). Plavix: Black-box warning mandated by FDA: it may be less effective for patients who cannot metabolize it (FDA News Release; see safety announcement). We’ve updated our YAZ lawsuit webpage (which includes claims against Yasmin and the generic birth control pill Ocella). Yesterday I clicked a link from @pharmaguy: End-of-Life Warning at $618,616 Makes Me Wonder Was It Worth It, an article in Bloomberg by Amanda Bennett. Don’t read it unless you have 5-10 minutes of quiet time—this is a powerful story. Would I do it all again? Absolutely. I couldn’t not do it again. But I think had he known the costs, Terence would have fought the insurers spending enough, at roughly $200,000, to vaccinate almost a quarter-million children in developing countries. That’s how he would have thought about it. Last week [actually, in 2009], the young actress spent a day in Toronto and then Vancouver doing media interviews, where she focused on the fact that Yaz can lead to fewer symptoms like headaches and cramps during that time of the month. The Yasmin and YAZ litigation continues to heat up in the Pennsylvania market, with over 160 cases filed. On Friday, the parties argued to Judge Sandra Mazer Moss about the full scope of questionnaires (often called “Plaintiff Fact Sheets”) that individual plaintiffs would be required to answer. Bayer is clearly overreaching, here. 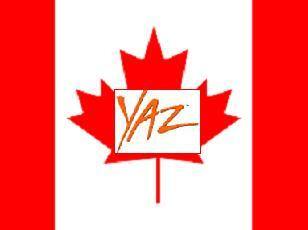 What Does A New Report Say About YAZ? Tough to say. It’s in German. And, my German skills were at their highest back in high school. During my trip to Munich for the holidays last year, I was able to competently read road signs and to order a cheeseburger from the local McDonalds. That’s about the extent of my current abilities. But, Bayer is singing the praises of the new report, claiming that it shows YAZ is as harmless as any other birth control pill, particularly with regard to deep venous thrombosis. The report was written by officials at Swissmedica (the FDA’s Switzerland counterpart). Swissmedica experts reviewed existing studies. Bayer’s website cites the Swissmedica press release that “contraceptives containing the active substance drospirenone have a comparable safety profile to that of other preparations available on the market.” Then, Bayer goes on to state that they’ve examined post-marketing studies on more than 42 million women years of drospirenone use, basically implying that the pill is fine. But, what does the press release really say? Bayer, the manufacturer of other terrific products (YAZ and Yasmin birth control pills: improperly advertised, cause blood clots, and can necessitate gallbladder removal, among other things; gadolinium-based contrast agents: turn skin orange and hard, make movement difficult, and can harden organs; and Trasylol: blood-clotting drug that causes clots, heart attacks, amputations, and kidney failure), also makes multi-vitamins. Today we’ll talk about the selenium-containing Men’s One A Day (MOAD) multivitamin.